Yesterday was a horrible day weatherwise. We shopped to stock up on ships stores, settled the Marina bills and generally just hid from the wind and rain. We even watched a DVD - Captain Philips - suitably nautical. Now we know what to do if we are attacked by pirates - mind you I think our fold flat garden hose won't be quite as effective! 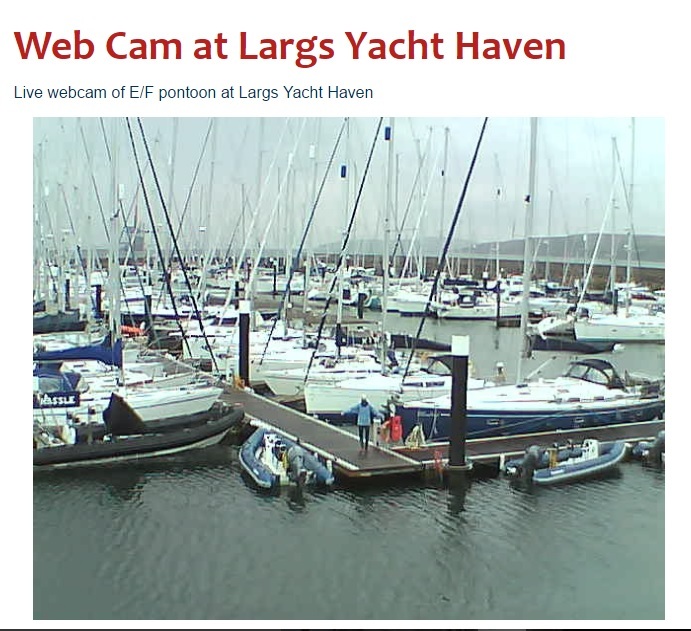 Hilary found out that if you timed your walk right up the pontoon you could get yourself on the Marina webcam, I guess it is the little things that can make you happy! Also made our sailing plan for the next few days, first day sail to Portavadie, second day onto Ardrishaig and the start of the Crinan Canal. Then through the Canal and decide on the next part when we know the weather forecast.